I think some of you other characters might have the same experience, but doesn't it seem sometimes that we see more than our share of trouble? 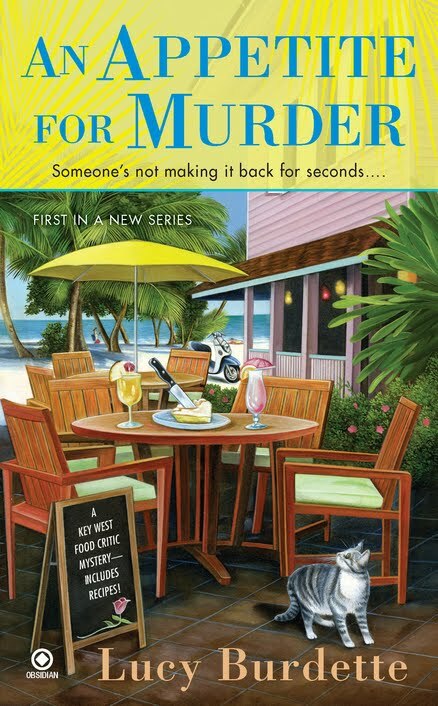 Here's an example: DEATH IN FOUR COURSES is coming along in September and I have a huge assignment for Key Zest, covering the Key West Loves Literature conference, which is all food writers--my idols! On top of that, I made the tactical error of inviting my mother for the weekend. I adore my mom, and my friends love her too--and I know you guys are going to be crazy about her. But as I've been known to say, having my mother tethered to my side while I work feels a little like looking through the oven door at a falling souffle.